Kenai Fjords Wilderness Lodget, Fox Island, AK. Completed in 2013, the main lodge sits inside Halibut Cove, looking out onto Resurrection Bay. Kayak tours go around the island shores; humpbacks and sea lions can be seen through the windows in the dining room, which boasts a private chef. From $520; . 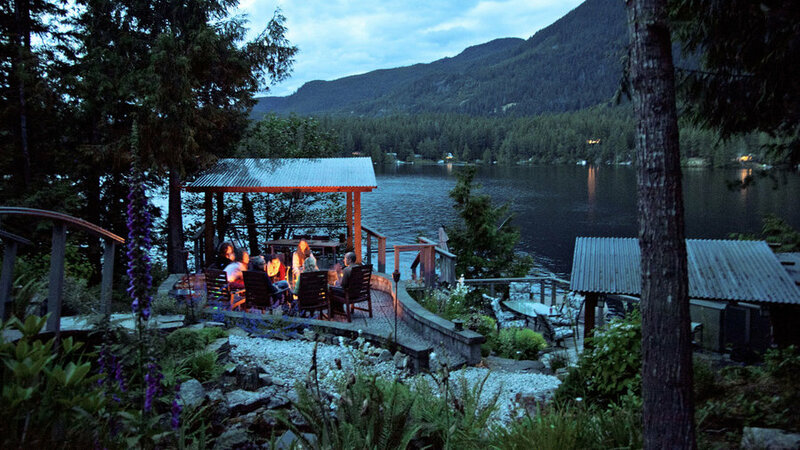 Clayoquot Wilderness Resort, Vancouver Island, B.C. Deep within British Columbia’s remote wilderness lies a once-in-a-lifetime hideaway. This luxe destination aspires to be among the world’s most ecologically friendly resorts, but the 33 canvas tents are loaded with comfort despite the light footprint. Explore the wilderness that surrounds the resort before coming back to an abode complete with an Oriental rug, heated floors, and an outdoor shower. A 3-night, all-inclusive stay starts at $4,000 U.S.; . Phantom Ranch, Grand Canyon National Park, AZ. Raft in or hike 7.5 miles down the South Kaibab Trail to this historic hideout. Set amid the cottonwood trees along the Colorado River on the canyon floor are wood-and-native-stone cabins built in the 1920s. But before you crash for the night, enjoy a steak dinner at the ranch canteen. From $149; .